Offering you a complete choice of products which include digital temperature scanner & indicator, production counter 4 digits, preset counter 4 digits, line speed indicator 4 digits, production counter 6 digits and 4 digits display. We are an incomparable name in offering a superior quality Production Counter 4 Digits. This production counter is used in shopping malls as a portable shop for displaying and selling various kinds of items. Offered production counter is accessible in numerous specifications so as to meet the demands of customers. Besides, this production counter is stringently tested on various quality parameters to ensure its defect free range. 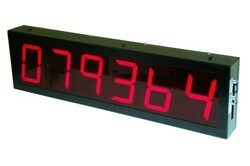 Electronic Switches (I) P. Ltd; offers 4 Digits, Event Counter with 4 inch seven segment LED display. Units operates on 220 Volts AC supply and accepts input from various sensors. Reset is available as on terminal strip on back. We are an incomparable name in offering a superior quality Preset Counter 4 Digits that accepts input from various sensors as well as potential free contacts. The offered preset counter is appreciated among our long list of esteemed clients due to their low maintenance cost and excellent durability features. Additionally, this preset counter is accessible in various specifications as per precise requirement of clients at reasonable prices. 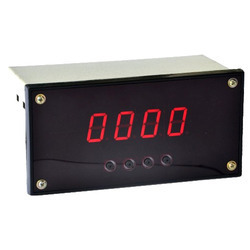 Electronic Switches (I) P. Ltd; offers 4 Digits, preset Counter with 4 inch seven segment LED display. Units operates on 220 Volts AC supply and accepts input from various sensors as well as potential free contacts. Set value can be entered from key pendent provided separately. Reset through Key pendent by user. Reset is available as on terminal strip on back. 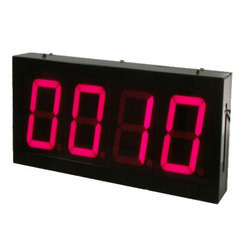 To meet the diversified requirements of our prestigious clients, we are offering an assorted range of Line Speed Indicator 4 Digits which displays linear speed of web directly in meters per minute. 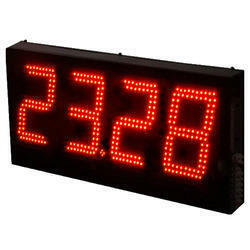 This line speed indicator is developed in sync with the standards of industry by our highly qualified professionals using optimum quality raw material. The offered line speed indicator is offered in various specifications as per the specific needs of the clients. Also meters per second or kilometers per hours can be offered if required. 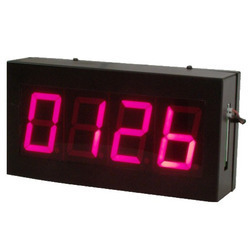 Electronic Switches (I) P. Ltd; offers 4 Digits, Line Speed counter with 4 inch seven segment LED display. Units operates on 220 Volts AC supply and accepts input from sensors. It displays linear speed of web directly in meters per minute. Also meters per second or kilometers per hours can be offered if required. 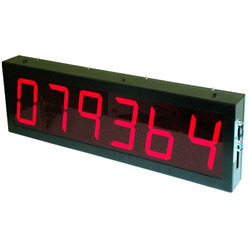 Electronic Switches (I) P. Ltd; offers 6 Digits, Event Counter with 4 inch seven segment LED display. Units operates on 220 Volts AC supply and accepts input from various sensors. Reset is available as on terminal strip on back. 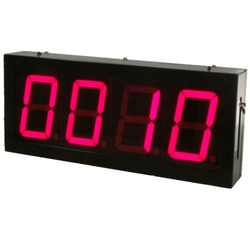 Electronic Switches (I) P. Ltd; offers 6 Digits, preset Counter with 4 inch seven segment LED display. Units operates on 220 Volts AC supply and accepts input from various sensors as well as potential free contacts. Set value can be entered from key pendent provided separately. Reset through Key pendent by user. Reset is available as on terminal strip on back.